Like many working mothers, Jacinda Ardern struggles with the competing demands of her job and her role as a new mom. Only her job happens to be running a country — she is the elected leader of New Zealand. 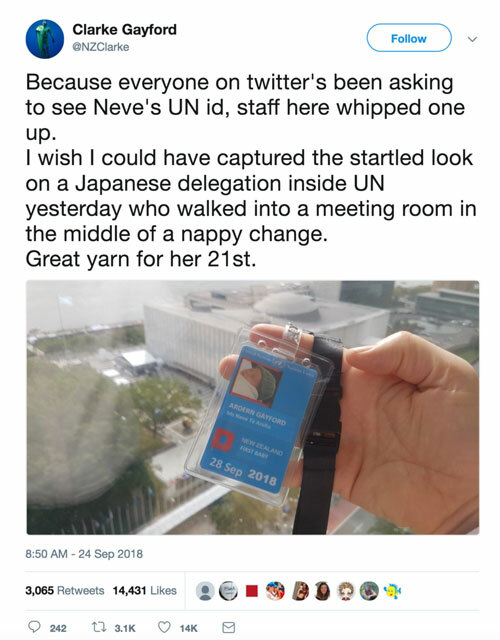 So last week, the 38-year-old prime minister brought her 3-month-old daughter, Neve, to the 73rd United Nations General Assembly in New York City. At a time when businesses and organizations around the globe are looking to expand leadership opportunities for women, the prime minister punctured two enduring myths: 1) women don’t aspire to leadership and 2) women can’t juggle work and family. Jacinda “rose to power last year,” reported CBS News, “defending the rights of working mothers and then promptly became a working mother herself.” She is just the second elected national leader ever to have a baby while in office (the other was Pakistani Prime Minister Benazir Bhutto who had a daughter in 1990). And, she is the first world leader to bring her baby to the United Nations. Unsurprisingly, Neve, who is reportedly the youngest person to ever attend the General Assembly, was a hit. Photos of Neve, her mom, and her dad, Clarke Gayford, at the U.N. assembly hall on Monday night splashed across newspapers around the world and went viral online. Jacinda appeared on “Today” on Monday, “The Late Show with Stephen Colbert” on Wednesday, and addressed the General Assembly on Thursday. For all her poise, Jacinda concedes she struggles with how to balance her work and family roles. “I am not the gold standard,” she said. She points out the advantages she has that aren’t universally available to women — six weeks of maternity leave, a helpful support staff, and a partner who has transitioned nicely to a stay-at-home parent. “What I consistently acknowledge is that I have assistants who help Clarke with the ability to juggle his career and be our primary caregiver,” she told CNN. In her speech on Thursday, the prime minister addressed gender equality head on. She noted that New Zealand gave all women the right to vote in 1893, the first nation to do so. “As a girl,” she said, “I never ever grew up believing that my gender would stand in the way of me achieving whatever I wanted to in life. I am, after all, not the first, but the third female prime minister of New Zealand. And though she batted away the idea that she is the ideal working mom, she did acknowledge earlier in the week that perhaps she can be a powerful change agent. The good news is that companies can do a lot to help moms succeed. For example, a number of companies have started supplying their traveling moms with a shipping service for breast milk. More and more businesses are giving new parents more paid time off — Netflix even gives new parents a full year of paid leave, and Adobe offers new moms 26 weeks, new dads, 16. Campbell Soup offers kindergarten and after-school programs for employees’ children, and Meridian Health offers affordable on-site child care. The kind of business culture the prime minister envisions can’t be legislated. 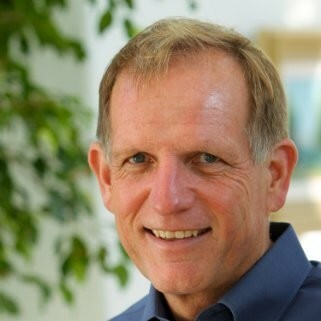 But it can get nudged along by far-sighted companies that understand it’s in their own interest to have an inclusive workforce and a diverse leadership team.